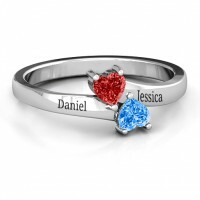 Main Stones: Two 4mm x 4mm Heart Cut Stones Max Ring Width: 8mm.Two heart-shaped stones lie facing each other and meet in the centre to symbolize love and the strength of two hearts. 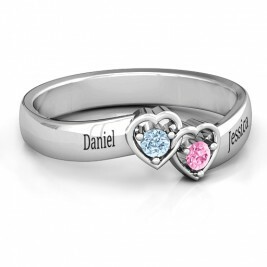 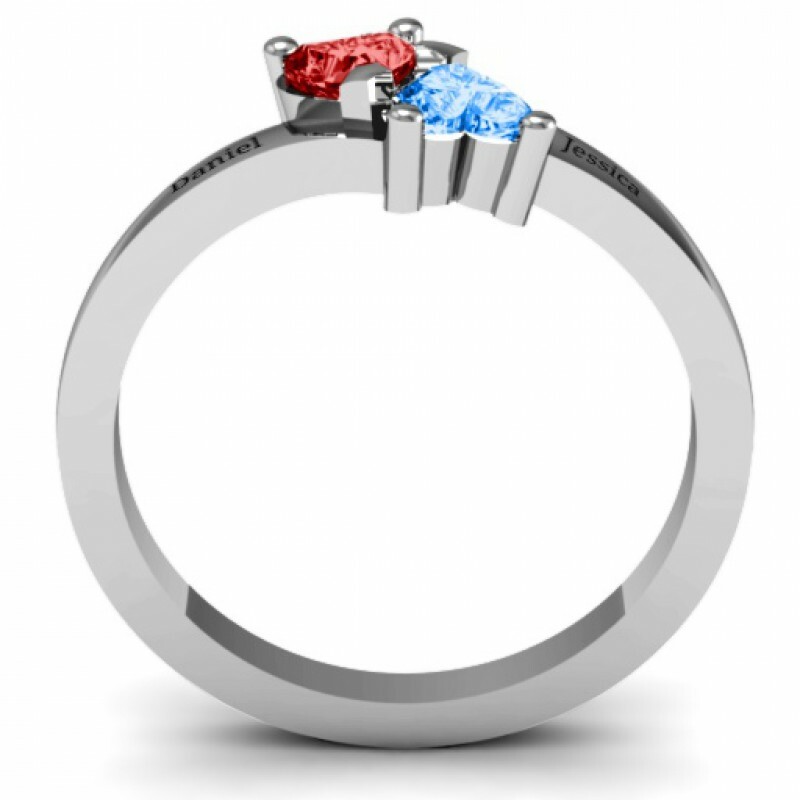 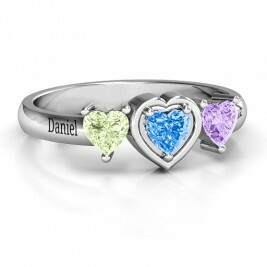 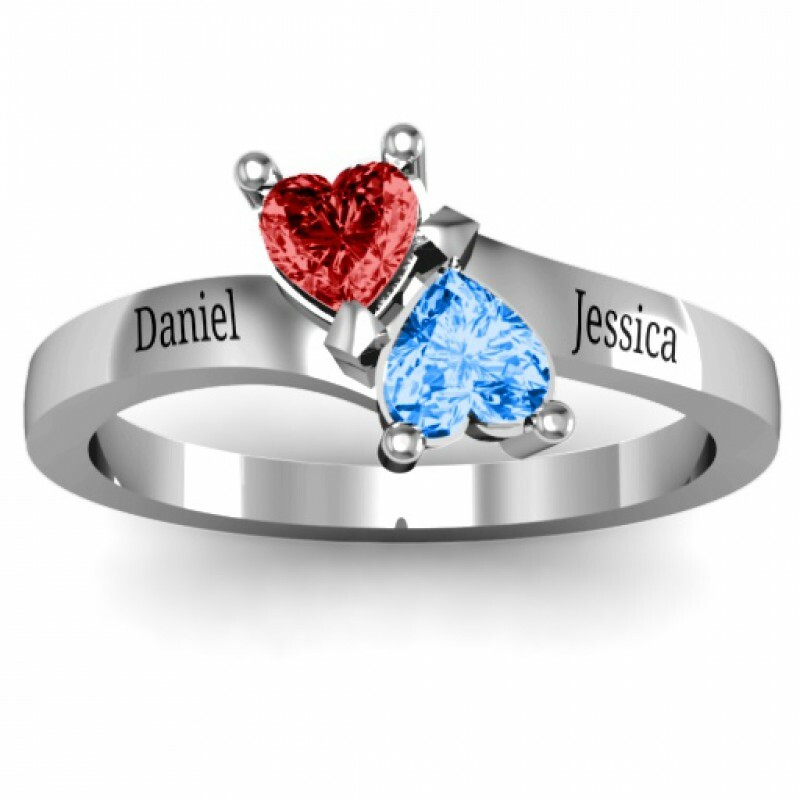 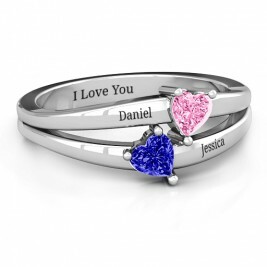 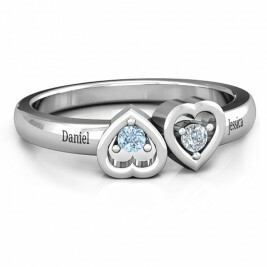 Personalise this Inverted Twin Heart Ring with your choice of 4x4mm heart cut genuine or simulated birthsontes. 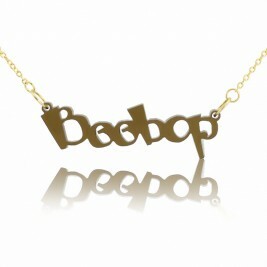 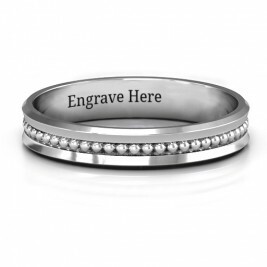 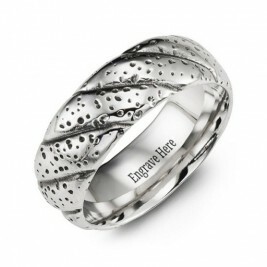 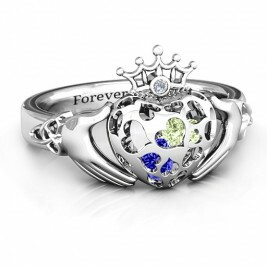 Have this ring custom made for you in your choice of silver or gold and engraved with your special message. 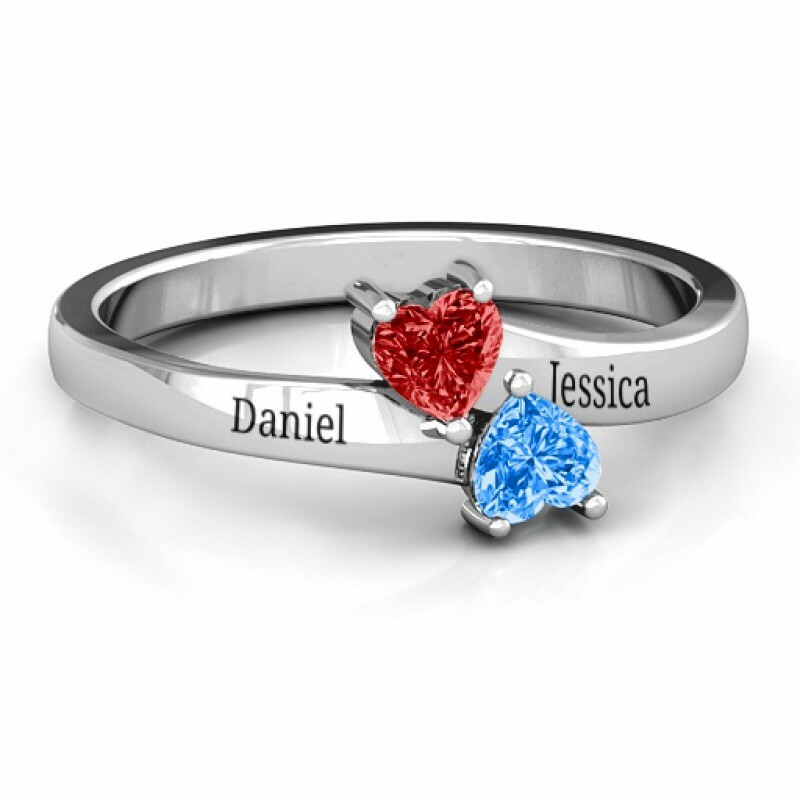 Always take off all types of jewellery before you go to sleep. 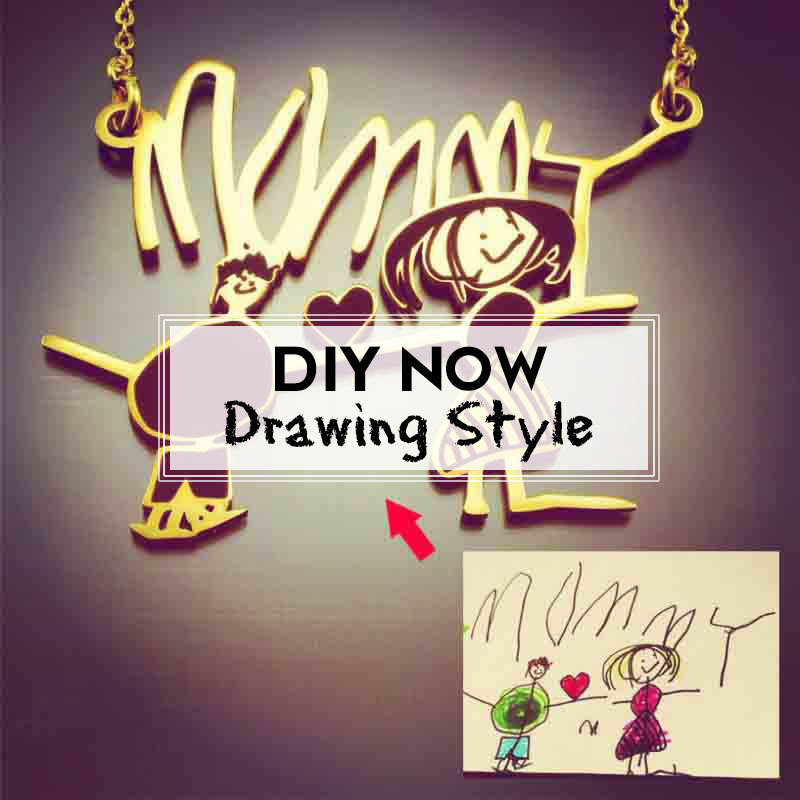 This will help you to avoid two major problems at the same time. 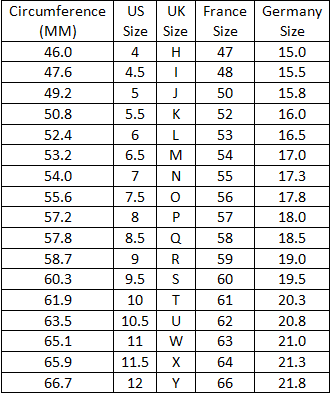 The first is that it is easy to lose pieces in your sleep. 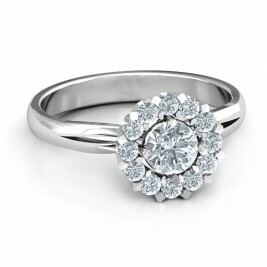 The second problem is that sleeping on jewellery can add stress to it and greatly shorten the lifespan.